Lived 2 years in Kaiserslautern and 1 year in Heidelberg. But have never been to Trippstadt! This was the time: Last fortnight at Kaiserslautern! One fine Thursday morning (yes, middle of the week! 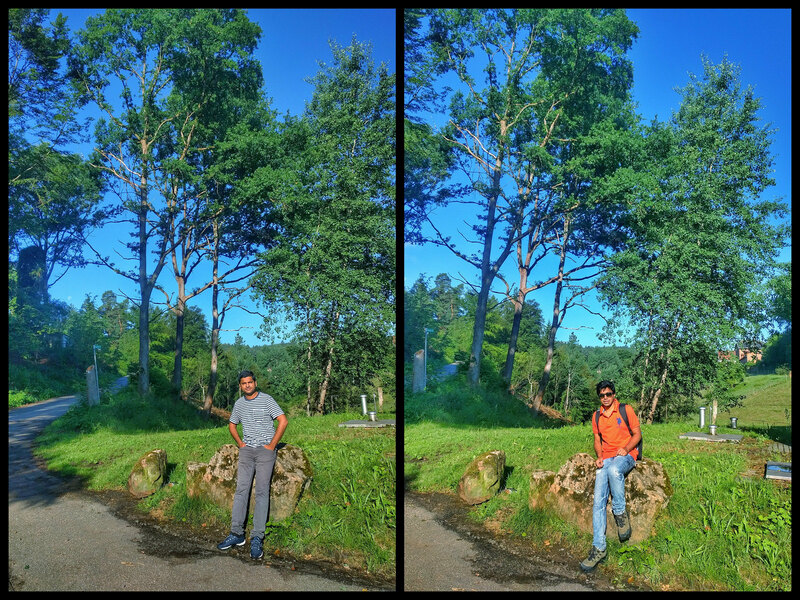 ), Aamir and me decided to visit Karlstal. It lies 10km south of Kaiserslautern in Rhineland-Palatinate. 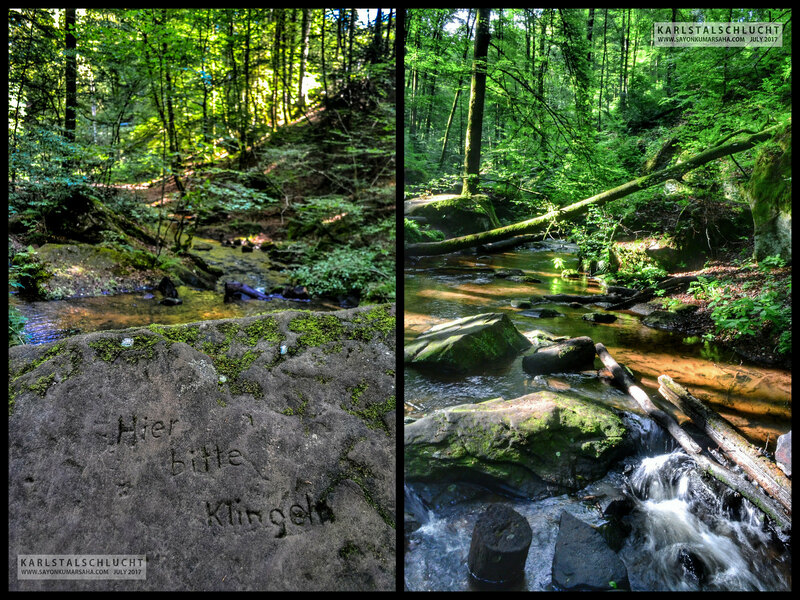 About 30min walk from Trippstadt, and we were at the beautiful Karlstal valley of Moosalb stream. 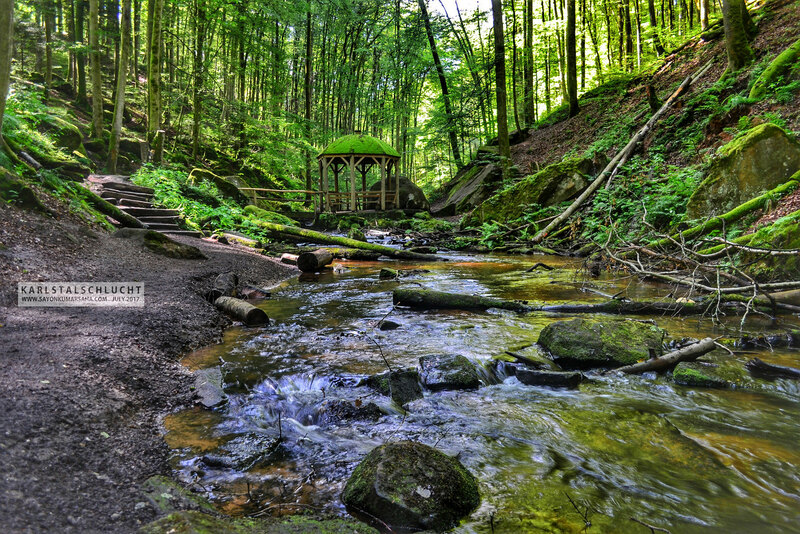 The small wooden pavilion stands in the middle of the mini-canyon: a perfect place to enjoy Wildbachstimmung. Talking of history, the carving above from the 18th century reads in German, “Please press the bell here”. Yes, the royal get-together two centuries back of King Louis I of Bavaria, Grand Duke Louis III of Hesse, and Archduchess Hildegard of Austria in this valley is well-known. The Moosalb has been cutting deep into the rock over centuries. 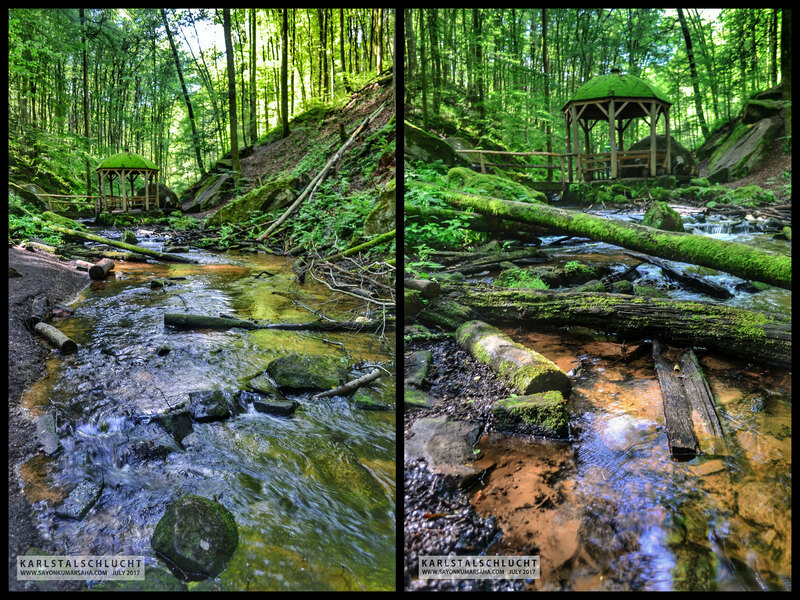 The stream leads through a wooden bridge here and there from one side to the other. The sun rays seep through the canopy of Palatinate, glittering everywhere! The water gurgles and ripples along the floor of stones and boulders. The stream makes its way between the branches on the stream bed and the moss-grown sandstone! 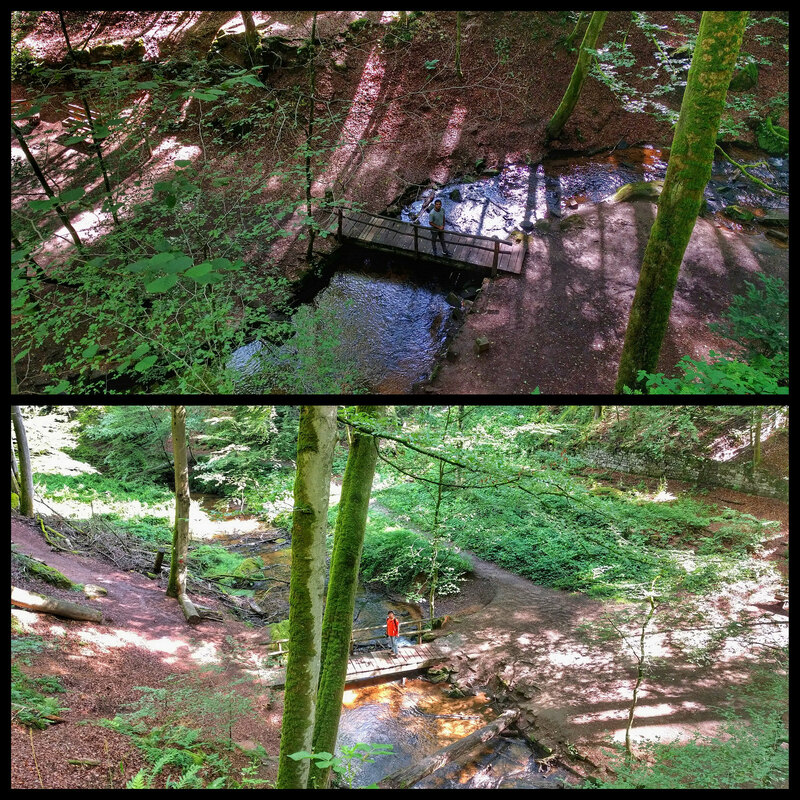 It is one of the most beautiful hiking trail in the Pfälzerwald. 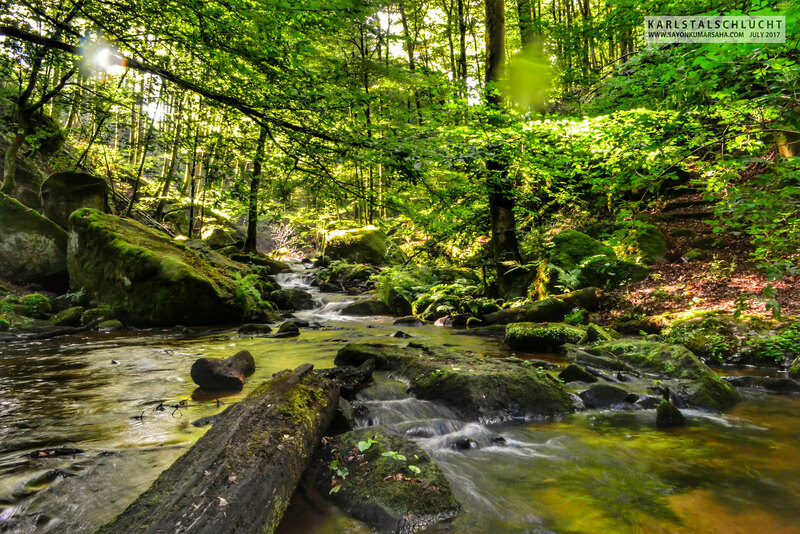 The wild Karlstal in the middle of Palatine Forest is one of the best serenity nature offers. 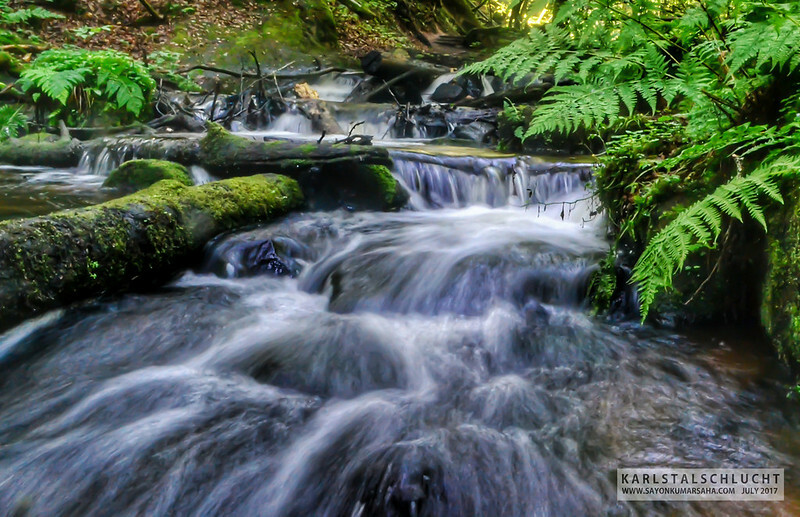 The name “Karlstalschlucht” meaning “Karlstal Gorge” is this the name under which this is registered as nature reserve!